Few bands are better than Future Islands at straddling the line between elegant pathos and overwrought ridiculousness. And while Samuel Herring and company have been working their signature brand of grandiose synthpop for years now, the overall consensus seems to dictate that 2014 is the year Future Islands “comes into their own”. Arriving on the tide of frontman Herring’s confoundingly magnetic Letterman performance is Singles, the band’s fourth full-length release. Not quite as powerful or arresting as 2011’s On the Water, the appropriately-titled Singles finds Future Islands at their most hook-laden and assured with the band exuding a newfound confidence that more than matches the album’s pop accessibility. Singles breezes along almost effortlessly for the first half. Tracks like “Seasons (Waiting on You)” and “Sun in the Morning” coast along evoking a world in bloom- paradoxical imagery to be sure once you take into account the tough-lipped melancholy of Herring’s vocals. The album devotes its midpoint to hazy reflection with the nostalgic “Back in the Tall Glass” and the slowly thunderous “A Song For Our Grandfathers” (Herring crooning a tune with this title is everything you’d expect, just short of becoming a full-blown Irish drinking song). Yet, Future Islands reserves the most compelling material on Singles for its back half with “Like the Moon” and “Light House”- tracks that would have fit in seamlessly among On the Water’s more poignant moments. All of this, of course, depending on the temperment of the listener, may register as completely overblown and even farcical. Herring’s manic vocal presence, which can be described as Morrisey by way of an unnerving David Bowie/Tom Jones hybrid, is an acquired taste to be sure. Yet for those attuned to the approach, his is an undeniably exciting guiding hand- efficiently juggling the album’s poppier elements with a tendency for unhinged histrionics (see: the sporadic death metal wail in “Fall From Grace”). 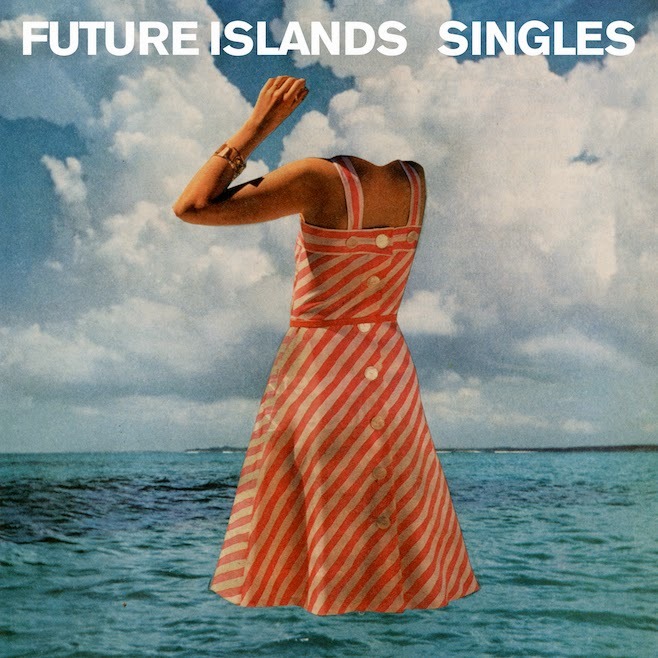 Let us all rest assured that, if Singles is indeed the album that pushes Future Islands closer to the stratosphere, an anarchic follow-up is most likely not far behind.